This is the recipe of an old friend of mine, Sadananda at Alandi Ashram in Boulder, Colorado (the ashram also has an Ayurvedic clinic and school of Ayurveda!). After completing his seven-year Indian pilgrimage in 1985, he returned to his starting point in Italy, where he stayed with a group of vegetarian Italian bachelors. 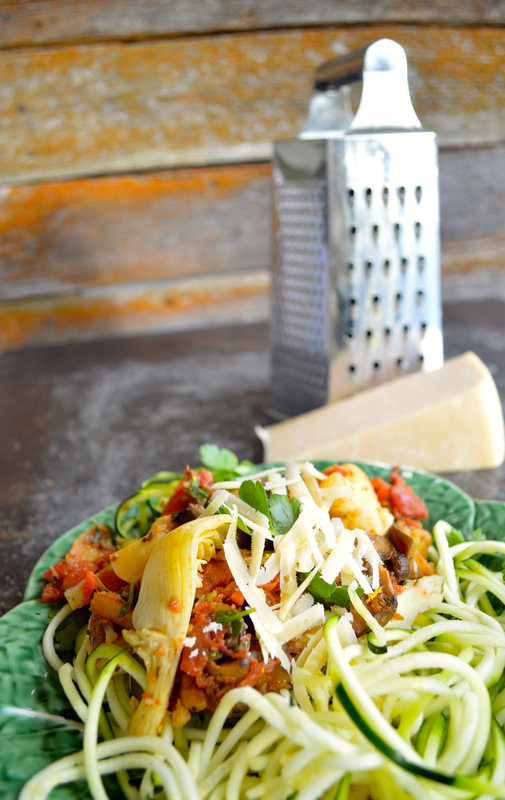 Sadananda combined Indian and Italian cusine to make this delicious and nutrient-dense dish. Subjee means vegetable or cooked vegetable dish in Hindi. Did you know that the more fruits and vegetables you eat, the lower your risk of dying from any cause? This study showed that those who ate five to seven servings (about 5 to 7 cups) of vegetables and fruits per day had a 36% lower risk of dying from any cause. Heat 2 T ghee to medium heat in a large pan or pot. Add the cauliflower and sauté for about 5 minutes until it starts to soften. Add carrots and parsnips and sauté for 5 minutes. Add ¼ cup water and cover with a lid for 5 minutes. Add ¼ t salt and mix. When vegetables are cooked so that you can insert a knife into them but they are not too limp, transfer to a large bowl. Heat 2 T ghee to medium heat in the same large pan or pot. Add the cumin, fennel and anise seeds. The ghee should be hot enough so the seeds sizzle. When they sizzle add the crushed red chili flakes, if using. Add the eggplant and sauté for a few minutes. Add the mushrooms and sauté until they start to brown. Add the tomatoes, garlic, fresh and dried herbs and ¼ t salt. Add the cauliflower, carrot and parsnips, artichokes and parsley to the pan/pot. Add additional salt, if needed, and ground black pepper. *Read why canned/jarred tomatoes are healthier than grocery store tomatoes. ** Garlic is best consumed raw or cooked after having been exposed to the air for 10 minutes (source). This exposure increases garlic’s allicin content. Allicin is a compound that kills bacteria and viruses and helps to fight disease. 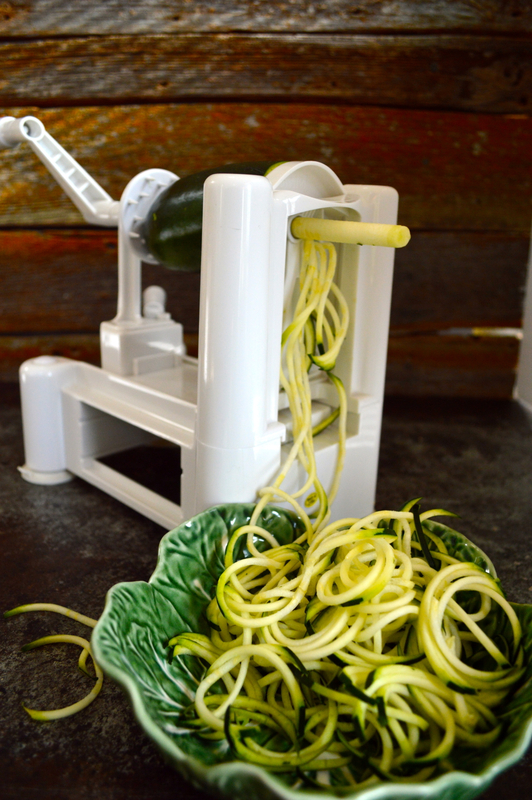 Serve over zucchini noodles, called ‘zoodles,’ made with a spiralizer, or over baked spaghetti squash. To prepare the zoodles, lightly saute in extra-virgin olive oil. Top dish with grated parmesan cheese.